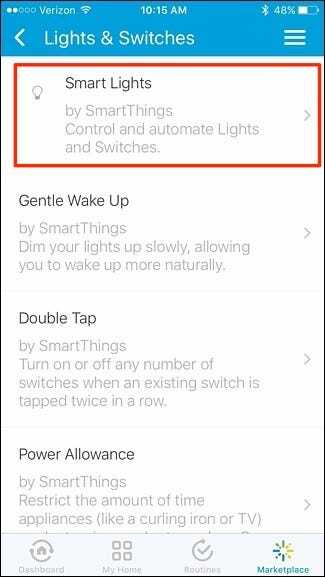 If you’re sick of having to find and fumble with the light switch every time you enter a dark room, you can use SmartThings to automate that process and have the lights turn on automatically when you enter. 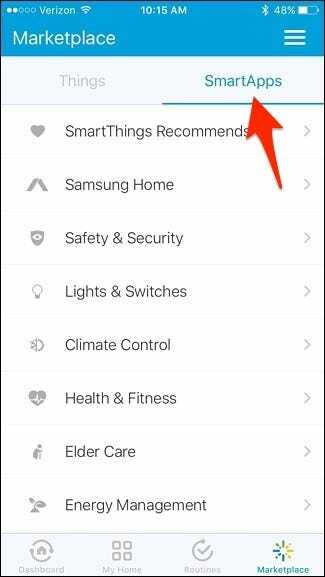 There are a couple of ways you can do this, and it depends what smarthome products you have in your arsenal. 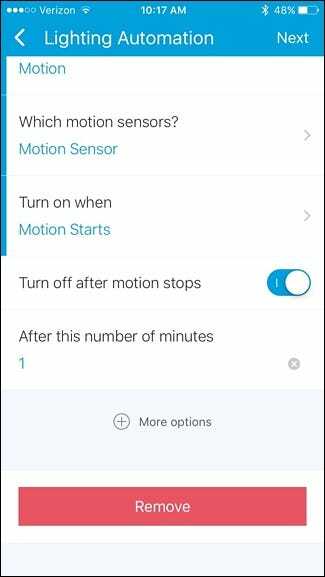 To trigger the automation for the lights, you can either use a SmartThings open/close sensor or a SmartThings motion sensor. 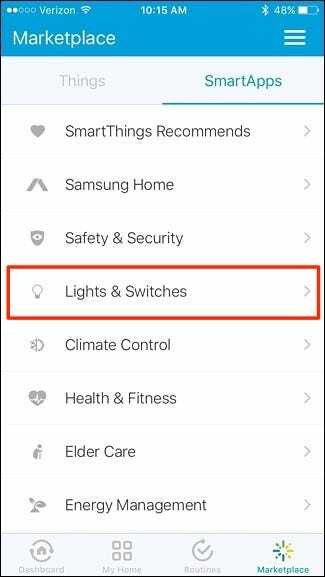 As for the lights themselves, you can use a SmartThings Outlet (or a third-party smart outlet connected to SmartThings) with a lamp plugged in, or if you have Wi-Fi light bulbs like Philips Hue, you can use those as well. 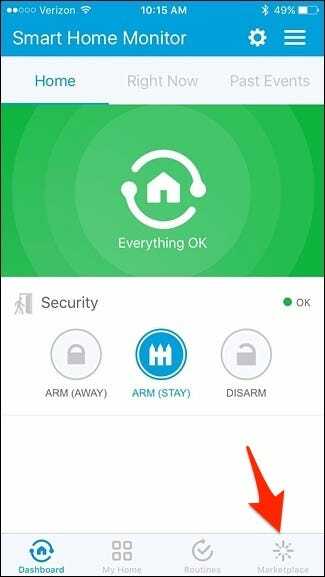 To set this up, start by opening up the SmartThings app on your phone and selecting the “Marketplace” tab at the bottom-right corner of the screen. Tap on the “SmartApps” tab at the top if it isn’t already selected. 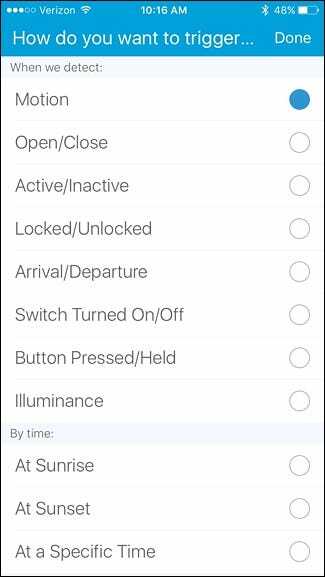 Next, tap on “Lights & Switches”. 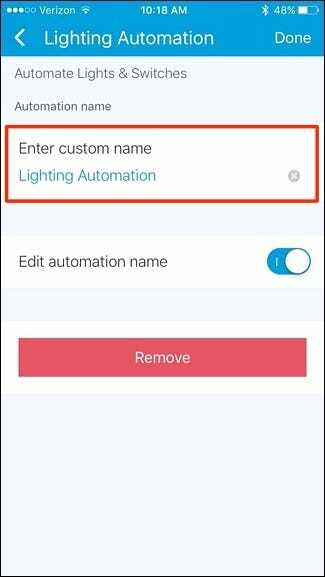 Select “Smart Lights”. It will likely be the first option at the top. 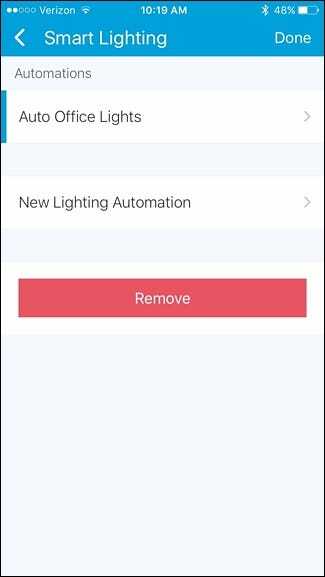 Tap on “New Lighting Automation”. Tap inside the box where it says “Which lights do you want to control?”. Place checkmarks next to the lights you want to turn on. 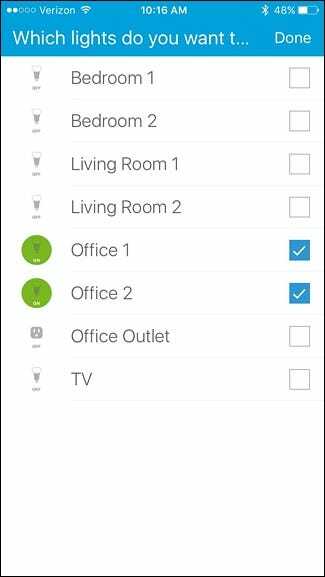 If you have a lamp plugged into a smart outlet (from SmartThings, Belkin WeMo, etc. ), select that in the list. 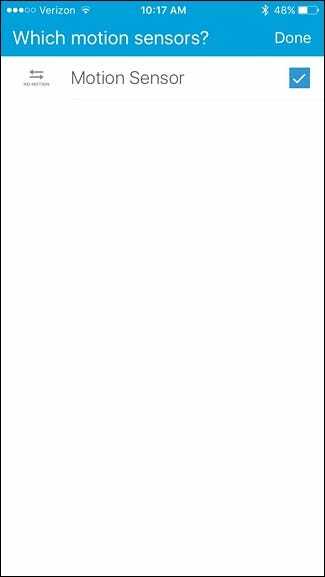 Hit “Done” in the top-right corner. 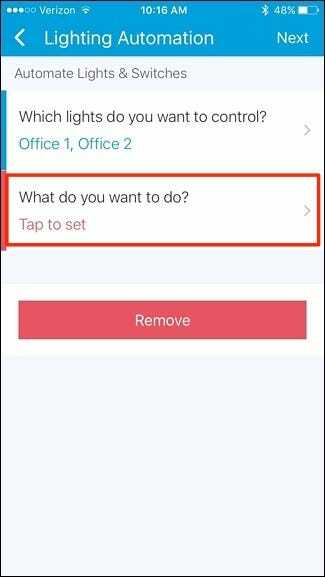 Next, tap inside the box where it says “What do you want to do?”. 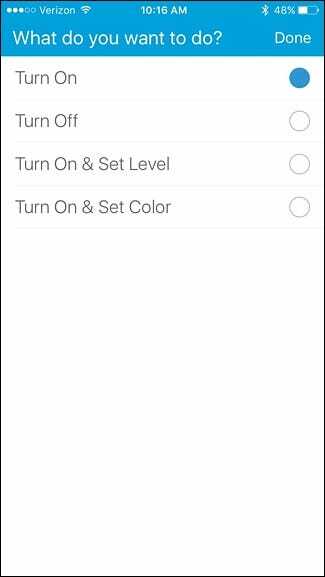 Select “Turn On” and then tap “Done” in the top-right corner. 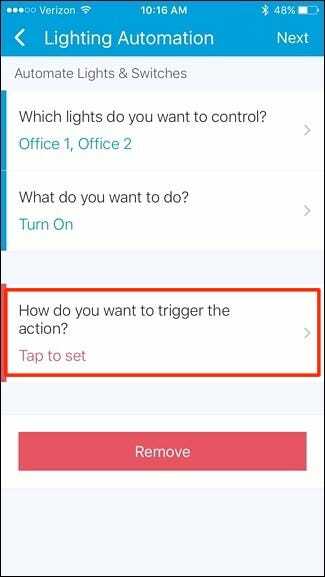 Next, tap inside the box where it says “How do you want to trigger the action?”. 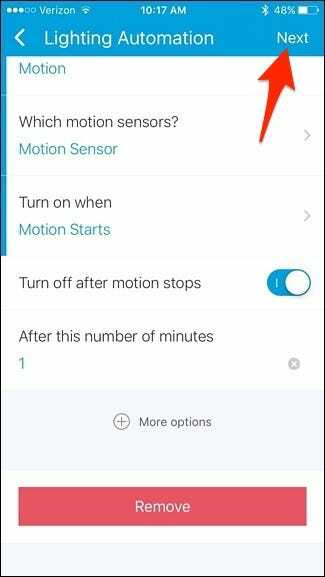 There are several options to choose from, but in this case we’re going to select “Motion” and have our SmartThings motion sensor decide when to turn the lights on. 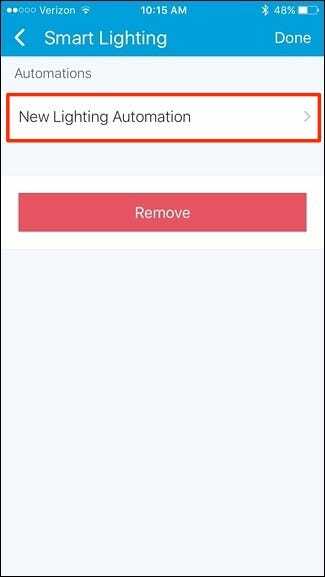 Then, tap on “Done” in the top-right corner. 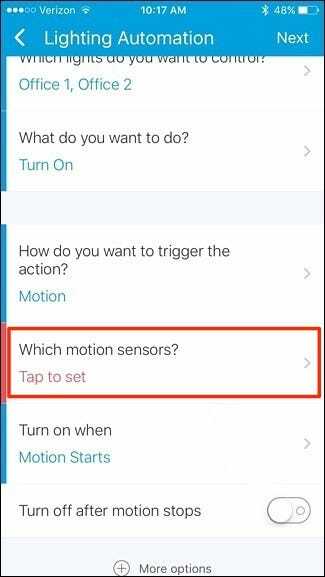 Tap inside the box where it says “Which motion sensors?”. 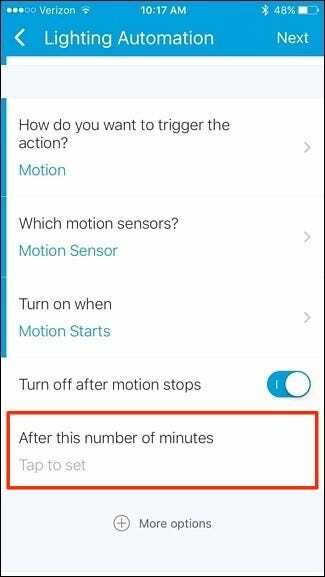 Select the motion sensor that you want to use and then tap “Done”. 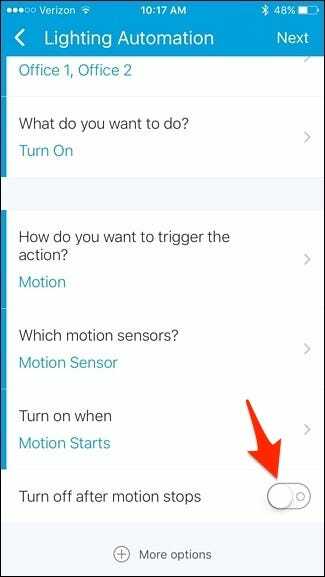 Next, turn on the toggle switch next to “Turn off after motion stops”. This is an optional step, but it will ensure that the lights turn off when you leave the room. If you do this, tap inside the box where it says “After this number of minutes”. Enter in a number here–1 or 2 minutes should be fine, but you can make it whatever you want. Tap on “Next” in the top-right corner of the screen. If you want to give this automation rule a name, tap on the toggle switch next to “Edit automation name”. 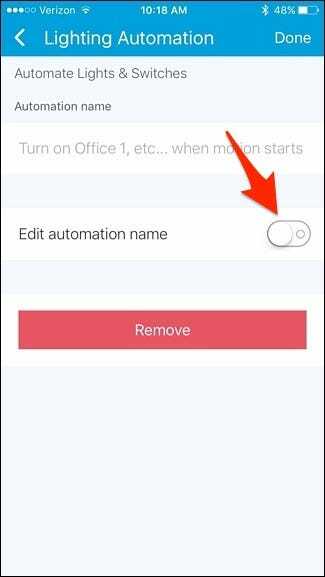 From there, tap inside the box where it says “Enter custom name” and type in a name for the automation rule. When you’re done, tap “Done” in the top-right corner. 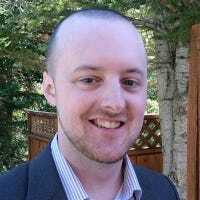 The new automation rule will appear in the list. 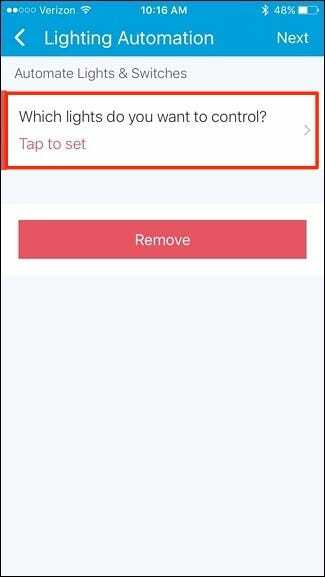 If you want to remove it, simply swipe it to the left and tap “Remove”. Granted, something like this might not be ideal for every room in the house, but for those spaces or closets where you’re only going in to get something and poke around for a minute, automating the lights can be really convenient.